The Federal Government’s Department of Education has begun to increase marketing and communication efforts regarding the transition to the JFF system. The official Department website has begun making changes to the content in the ECEC section. It’s now clear that they are deliberately and systematically removing any terminology, focus or language that refers to ECEC as having anything to do with education. Don’t take my word for it – head to education.gov.au/childcare. 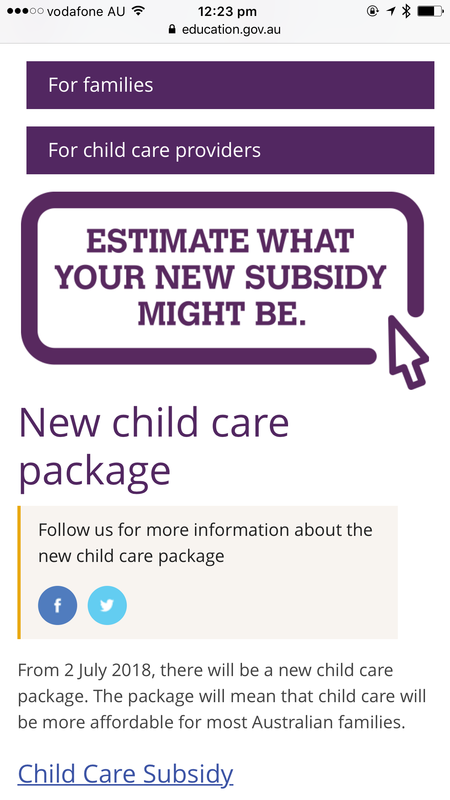 The first clue is in the website address – childcare. Things don’t get any better from there. Education has disappeared from any language or description. It’s gone, and you would assume it was never there. Some examples are below. The Department of Education is the highest body in Australia overseeing the work I do every day. According to them, I now work in the childcare sector. I don’t work in the education system. I support families to go to work – that is the extent of my role, and the role of everyone working in the ECEC – sorry, childcare – sector right now. This is important. The words we use matter. How we talk about ourselves, and how those in power talk about us, shapes community perceptions and understanding of the work. In 2012, the National Quality Framework came into effect. It consolidated language and terminology. We’re all educators, not childcare workers. We work in the ECEC sector – not childcare. I’m not surprised that the Government want to delete education from the work we do. Their entire political focus in reforming ECEC is to get more families into work, and to ensure that those that don’t contribute to the economy to the standard they expect aren’t allowed to ensure their children access ECEC. Any early childhood advocacy body who gave any support to that package knew that going in. Once again, through gritted teeth, I remind everyone of the name of the reforms. 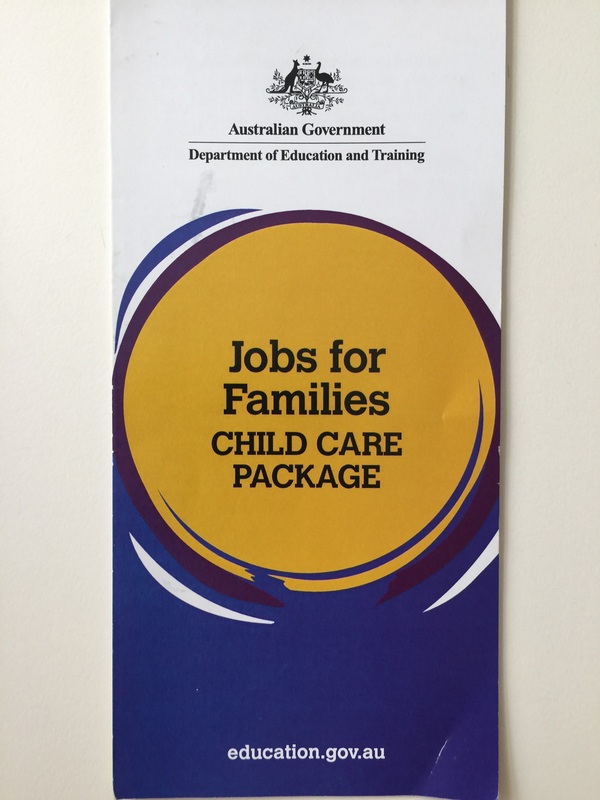 THE JOBS FOR FAMILIES Package. Of course it’s in their political interests to take us back 20 years to the days of lightly-regulated childcare. Who cares if more children fall behind, and ECEC becomes a privilege of the wealthy. What I cannot and do not except is that the non-partisan, non-political leaders and bureaucrats of the Department of Education have allowed this to happen. The Public Service is not in thrall to Governments. They should provide frank and fearless advice. There are people in the Department of Education who know the research on early education better than almost anyone in the country. They were instrumental in developing aspects of the National Quality Framework. They know ECEC is more than childcare. And yet, these changes have still happened. Education has been deleted, and even before 1 July 2018 has rolled around they have enabled and abetted an insidious change to how our work is viewed and overseen. Did no-one in the Department push back? Did no-one have the integrity to speak with the Minister and highlight how crucial early education is? How there are thousands of services around Australia that work tirelessly to not just provide high-quality education to children, but advocate for its importance? That they would see all this communication coming out and feel denigrated, frustrated and made to feel that all the hard-fought advances of the last decade had been lost? 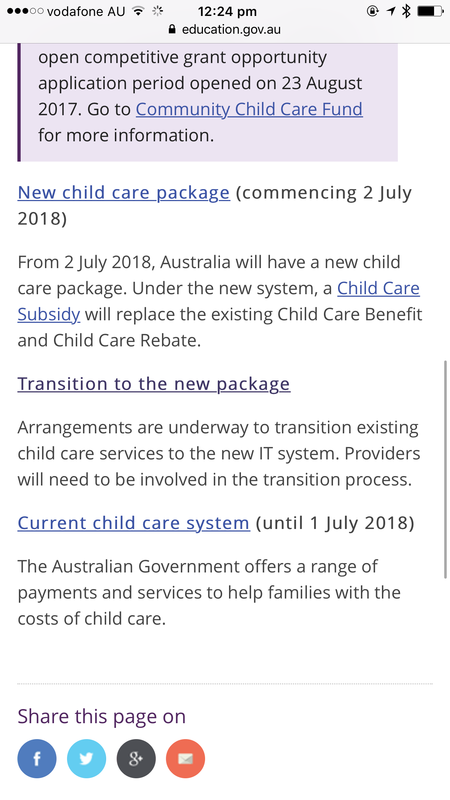 The Department has happily lumped everyone in ECEC back into the childcare sector, with no consultation or seemingly a thought for how that might affect us. But look how they still refer to themselves. The Early Childhood Education and Care Cluster. They’re perfectly happy to reduce all of us and the work we do, but they haven’t changed the name of their work at all. They still work with Early Childhood Education. 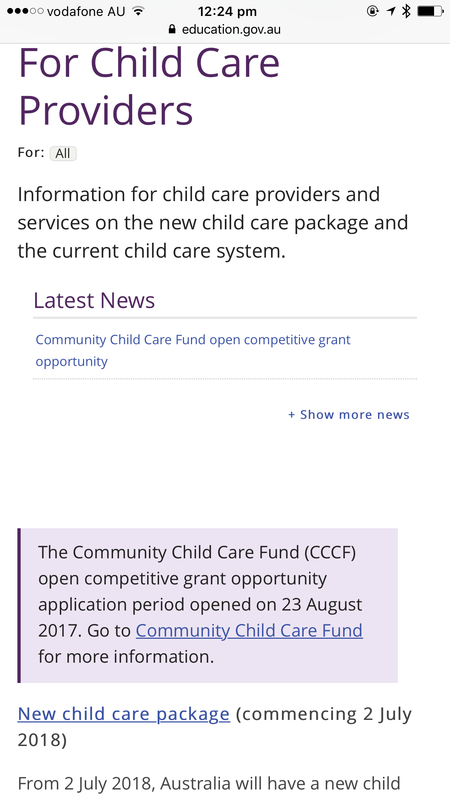 They know “Childcare Cluster” wouldn’t sound as important or be as valued, so they’ve kept it. How embarrassing to be working with “childcare”! What would their public servant pals say when they saw that on their signature block? This makes me more angry than I can say. How dare they. This is a battle we didn’t even know we were in, and don’t have a lot of control over. Just as we need to advocate for children as they are not in a position to do so themselves, the Department of Education should have advocated for the sector in ways that we couldn’t. In both cases, there was complete failure. The ECEC sector failed to advocate for the complete rejection of the JFF package, and the Department could not stand up for us when we needed them to keep the language and terminology we deserve. If you dislike this as much as I do, contact the Department. I do certainly agree what has been said in the above article regarding delete education…. The department can’t stand for what is right for us…. Next Next post: LIKE! SHARE! COMMENT! How we’re turning children’s learning into a social feed and why it needs to stop.